The culinary world lost another star this week. 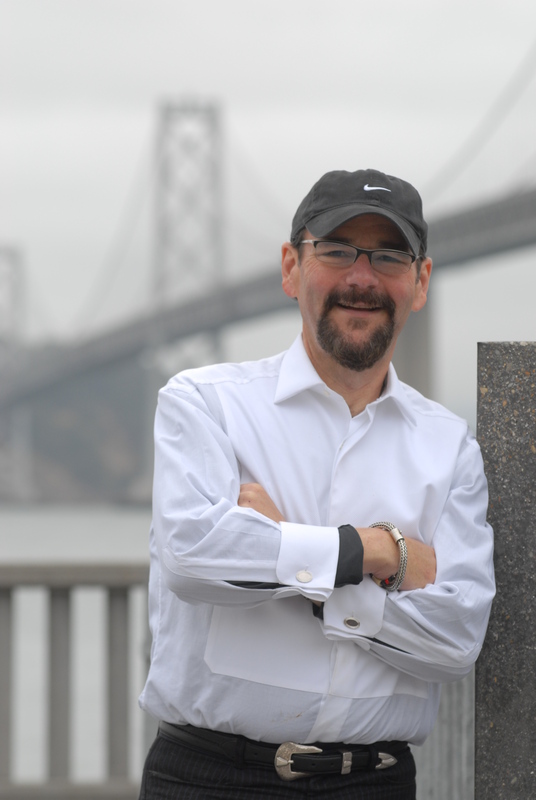 San Francisco chef Jan Birnbaum died on Tuesday after a prolonged illness. He was 61. Birnbaum was the opening chef and co-owner of the restaurant Epic Roasthouse, which opened in 2008 in the Embarcadero, but was later rebranded as Epic Steak. Opened in partnership with managing partner Pete Sittnick and partner Pat Kuleto, the waterfront restaurant is known for its stunning location, with views of the San Francisco Bay, the Bay Bridge, Treasure Island and the city skyline. There, Birnbaum created a menu known for its contemporary interpretations of steakhouse favorites. Birnbaum retired from day-to-day operations in 2013, but he left a legacy of good food that spanned three decades. “It is with great sadness and tremendous love and respect that I learned of the death of chef Jan this morning,” said Sittnick in a statement. Birnbaum was originally from New Orleans, where he cooked with Paul Prudhomme at K-Paul’s Louisiana Kitchen, starting as a baker and rising to lead cook within six years. Birnbaum moved to New York in 1982 where he worked at the Quilted Giraffe, later saying that owner Barry Wine in Manhattan taught him about the sense of theater in a restaurant. “Barry knows how important it is to sell the sizzle, not just the steak,” Birnbaum once told Nation’s Restaurant News. Birnbaum later moved to San Francisco, where he was executive chef at the Campton Place Hotel, which at the time was named among Food & Wine’s Top 25 Restaurants in America, among other awards. He was also featured on Julia Child’s “Master Chefs” series on PBS. Left to right Jan Birnbaum, chef-co-owner, Pat Kuleto, designer and co-owner, Pete Sittnick, then managing partner, and Bob Burke, former president and chief executive of Pat Kuleto Restaurant Design and Development. 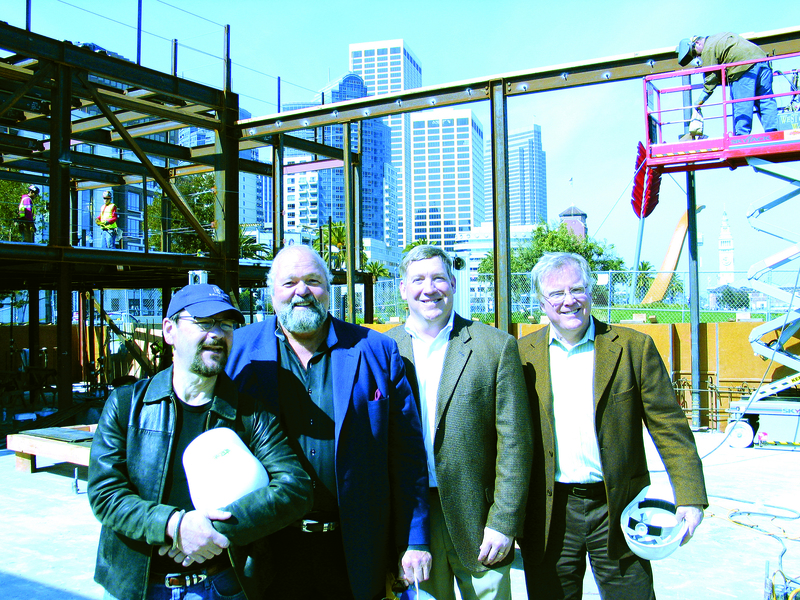 Taken at the construction site of EPIC Roasthouse and Waterbar along the Embarcadero in San Francisco in 2007. Birnbaum’s first venture was his Catahoula Restaurant and Saloon in Calistoga, Calif., which opened in 1994, featuring a wood oven as the dining room centerpiece. Birnbaum later described his time in the Napa Valley as being in a “virtual classroom” that enabled him to study the wine industry. In 1997, Birnbaum also collaborated with Kimpton Group of San Francisco to open the New Orleans-inspired Sazerac in Seattle, which closed last year. In a Facebook post, chef and restaurateur Joseph Keller described Birnbaum as a truly gifted chef with a zeal for life and a passion for food. “I enjoyed Jan and his lovely wife Linda’s friendship, but especially Jan’s food. I sat at the food bar many a day at Catahoula’s waiting for his next creation with high anticipation. Birnbaum is survived by his wife Linda Giglio and his brother Jeff Birnbaum. Donations in Birnbaum’s memory can be made to Meals on Wheels San Francisco, Bay Area Jewish Healing Center or Hospice by the Bay. Correction: This story has been updated with the correct name of Epic Roasthouse, now called Epic Steak.